In subjects ranging from the expulsion of the Jews in the fifteenth century to intimacies between contemporary lovers, we are made to feel our own needs and terrors expressed, our own cities left behind. These poems are transparent, yet everywhere reflect things and people darkly, in emergency. 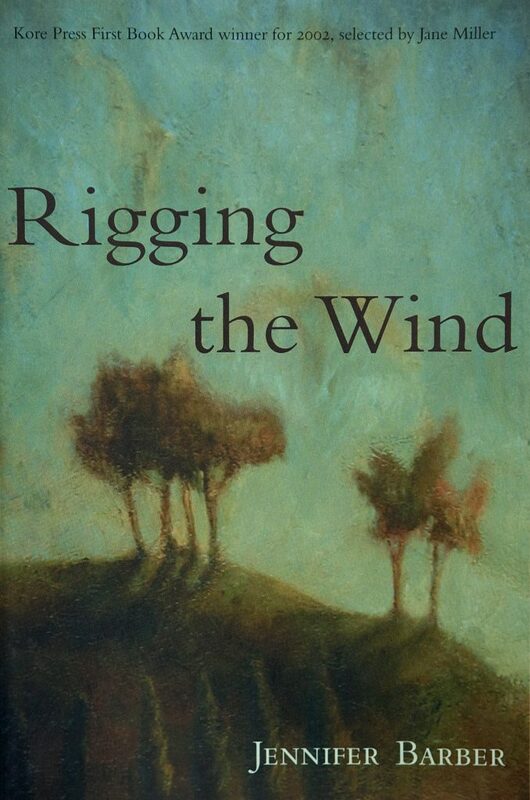 Rigging the Wind dances inside the poet’s essence, that place where, like Ein Sof itself, poetry mines the wellspring of its own making. With faith in a brave humility, Barber celebrates self in its magnificent frailty, particle by particle, each one polished with wonder’s luminescence. Line after line, Ms. Barber collects the everyday fabric and weaves into a whole a textured world of her own making—personal, and always convincing. The poems here are by turn impressionistic, physical, and passionate—attesting to the fact that close observation can produce poetry of the highest order.